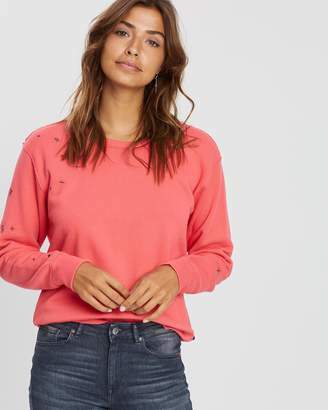 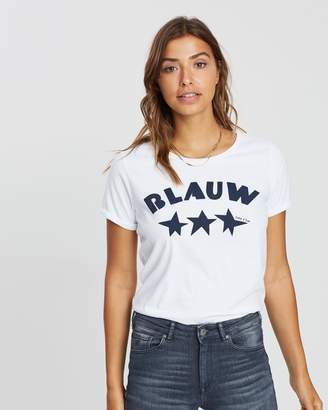 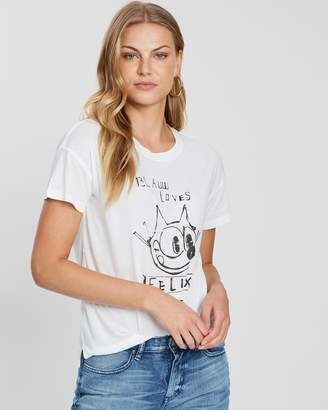 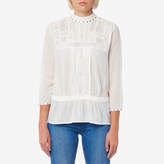 Women’s off white embroidered top from Maison Scotch. 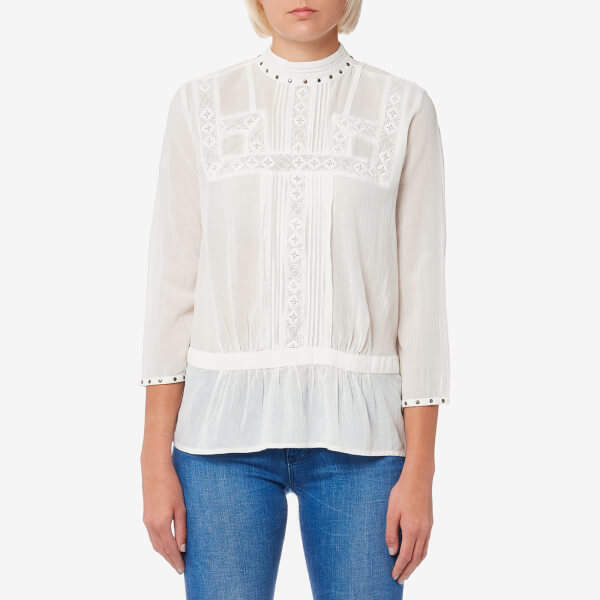 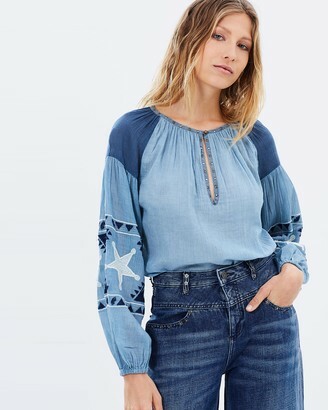 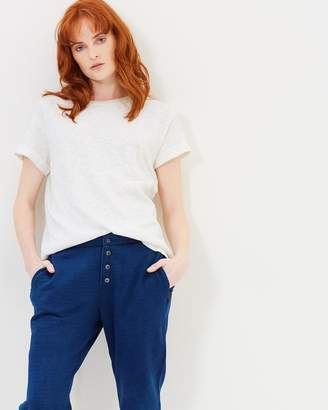 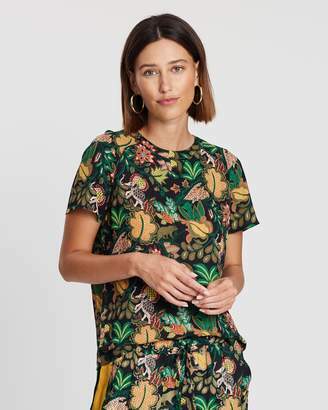 Crafted from a cotton blend fabric with a delicate embroidered design, the blouse features pleated sections, gathered details and metal stud embellishment to the high neckline and cuffs. 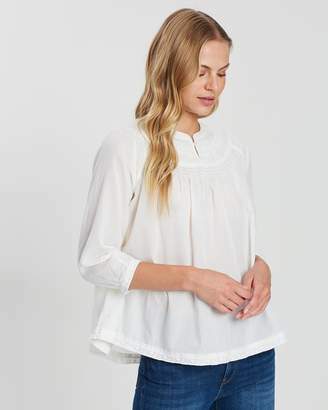 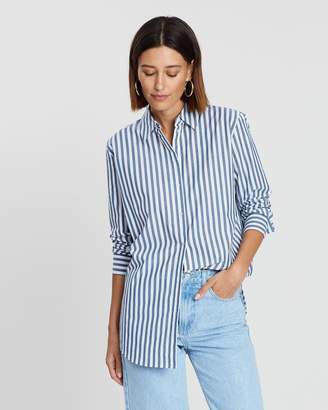 Complete with three-quarter length sleeves and a button placket fastening to the back. 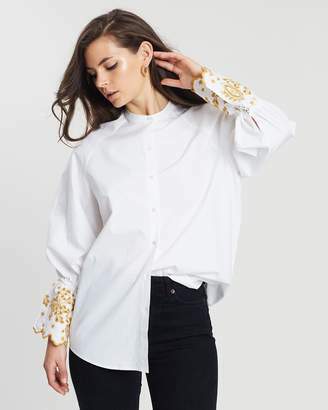 58% Viscose, 42% Cotton Model is 176cm/5'9.5 and wears a size S.